Circa 1805. 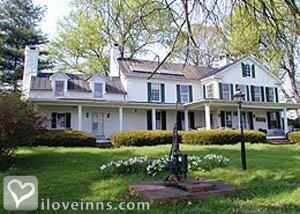 Leave stress behind when staying at this historic farm that sits on 47 rolling acres of land that once was where the Civil War's Battle of the Haystacks was fought in 1863. Located in the heart of horse, antique and wine country, it is just 20 minutes from Dulles Airport and 45 minutes from Washington, DC. Overlook the Bull Run Mountains while sitting on the front porch. 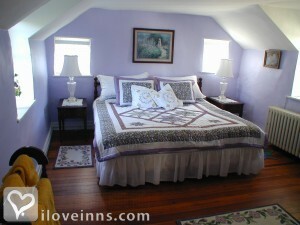 Antique-filled guest bedrooms in the main house are named after the flowers and feature canopy or four-poster beds. Two rooms can adjoin to become a suite. 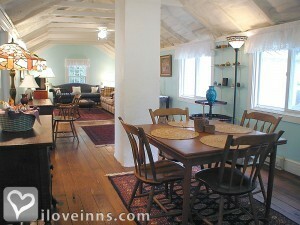 A separate one-bedroom cottage includes a fully equipped kitchen, dining area and living room. Breakfast is provided in the large kitchen or outside patio. 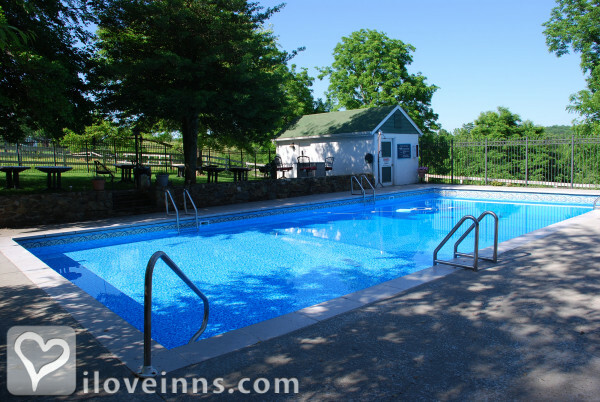 Swim in the pool or soak in the year-round hot tub.Location: Country. Payment types accepted include American Express, Master Card, Discover, Visa, Diners Club, Carte Blanche, Personal Checks and Travelers Checks. 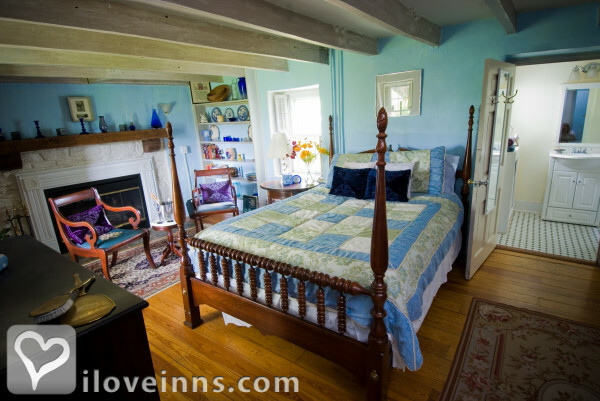 Rooms: This property has 9 total guest accommodations, 3 with private bath, 3 with fireplaces, 3 two-bedroom suites and 1 cottage. Cancellation: A single night's deposit is required upon reservation. Deposit is returned if notice is given 10 days or more prior to arrival date. Less than 10 days notice, the deposit is forfeited unless we are able to re-book the rooms, or you wish to apply it to future stay. Types of meals: Full breakfast on weekends and Continental on weekdays. Amenities In Room: Air Conditioning, Reading Lamps, CD Player, Ceiling Fans, Fireplace, Hair Dryer, Bathrobes, Wireless Internet Access and Iron/Ironing Board. Amenities On Site: Library, Parlor Games, Copy Machine, Phone, Fax, Fireplace, Swimming, Limited Handicap Access, Television, Hot Tub/Spa, VCR and DVD. Business Traveler Amenities: Desk, Television, Internet Access, Wireless Internet Access, FAX On-site, Iron/Ironing Board, Hair Dryer, Daily Newspapers and Flexible Check in/out Times. Events Hosted: Family Reunions, Seminars, Meetings, Weddings and Romantic Getaways. 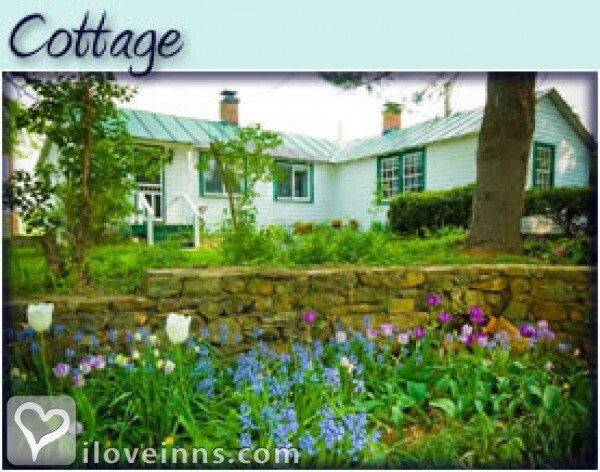 Other Activities: Antiquing, Art Galleries, Bicycling, Canoeing/Kayaking, Fishing, Golf, Hiking, Horseback Riding, Museums, Parks, Shopping (Local Crafts), Tennis and Wineries. The house was built in 1805. A Civil War battle, The Battle of Haystacks, was fought on Briar Patch land in June of 1863.